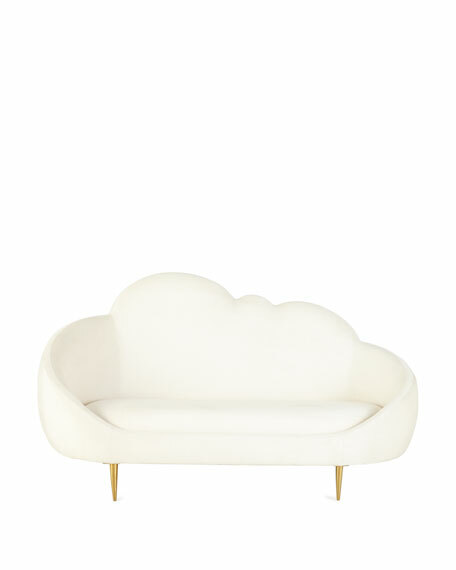 The Ether Settee has a simple genesis story: Jonathan Adler wanted to create a settee that looks and feels like heaven. 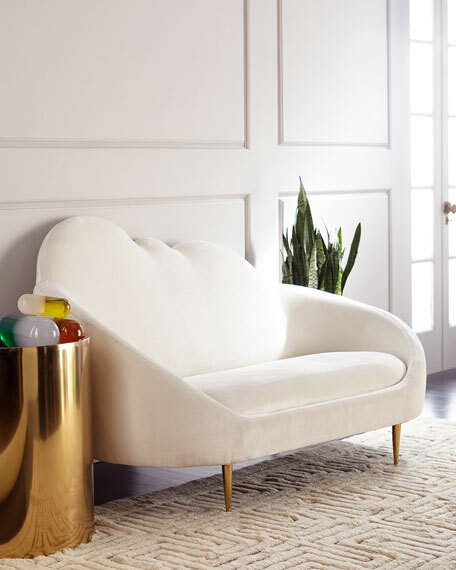 The chic cloud silhouette and lozenge-like form are enveloping and inviting, while gleaming brass stiletto legs project posh presence. Ethereal yet edgy, it's upholstered in glistening Bergamo Snow upholstery for maximum otherworldly elegance. Low and loungey, and très comfortable. 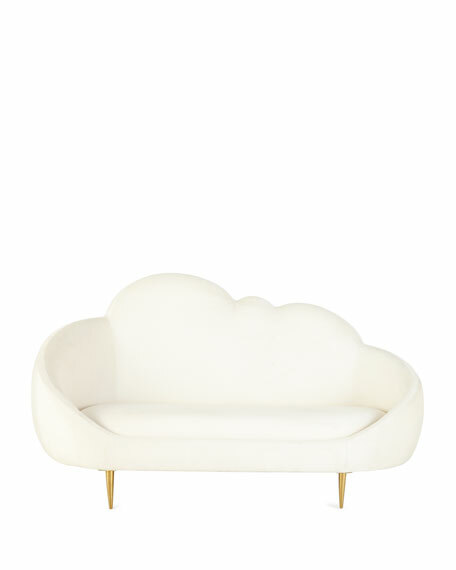 Settee with polished brass legs. Overall, 69.5"W x 39"D x 38"T; seat dimensions, 24.5"D x 15"T.
Handcrafted counter stool. Hardwood frame. Acrylic/polyester/cotton/nylon blend upholstery. Nailhead trim around top of legs. Metal cap on front stretcher. Mortise-and-tenon frame construction. 25.5"W x 25.5"D x 38.75"T; seat, 19"D x 24"T. Made in the USA. Boxed weight, approximately 63 lbs. High-fired porcelain valet with crimped corners. In-glaze animal details with on-glaze hand-applied 16-karat gold accents. Scratching will occur with use over time. Gift box included. 7"W x 5"D x 1"T. Imported. Handcrafted., beautifully embellished King James Version Bible. Bonded leather cover embellished with solid brass stampings and machine-cut faceted crystals. Cross in center of cover engraved with Alpha and Omega symbols. 5.5"W x 1.5"D x 9"T. Made in the USA of imported materials.